Producing a sequel is always a risky proposition, even under the most optimal of circumstances. Writing a sequel a decade and a half after the original is all the moreso. Not only does the sequel face up against years of built up anticipation and towering expectations from the fanbase, it has to stay faithful to the original and has to interest the audience in the new story it plans on telling. Good sequels in and of themselves are rare enough. Belated sequels capturing the zeitgeist and spirit of the original are far and few. My Big Fat Greek Wedding was the surprise rom-com smash hit from 2002. It grossed $241.4 million in North America alone and was nominated for the Academy Award for Best Original Screenplay. It made Nia Vardalos a star overnight and spawned a short-lived TV spin-off called My Big Fat Greek Life (2003). It took Vardalos some 14 years to get a sequel in production. Not that anybody was expecting a sequel in the first place and it's not as if Vardalos has branched out in the interim with the rom-coms My Life In Ruins (2009) and I Hate Valentine’s Day (2009). My Big Fat Greek Wedding 2 is more of the same and while that’s not necessarily bad, was there really any need for this? Going through his papers one day Costas or Gus (Michael Constantine) makes a startling discovery. 50 years ago when he and Maria (Lainie Kazan) emigrated to America to evade the war the officiating pastor never signed their marriage license. This prompts Maria to re-evaluate her station in life and sends Gus spiraling into depression. Paris meanwhile has been harboring a crush on Bennett (Alex Wolff). As the Portokalos clan rushes to repair the rusty relationship of Gus and Maria they convince the pair to renew their vows and finally make the marriage official once and for all. It just so happens that Paris’ prom night is happening the same night as her grandparents’ marriage. Who will she chose? Will she chose her family over her boyfriend and will everything in the Portakalos clan be alright? 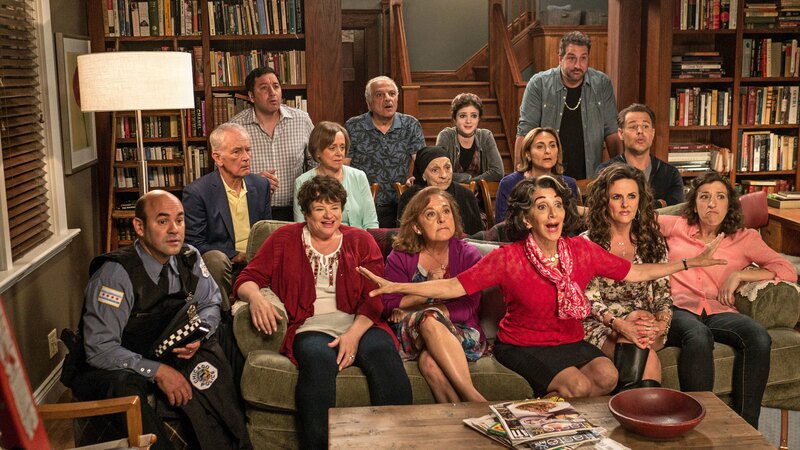 To say that My Big Fat Greek Wedding 2 is light on plot would be something of an understatement. It does offer a rather interesting change of family dynamics compared to the original. In My Big Fat Greek Wedding (2002) Toula was the black sheep of her proud traditional Greek family, being 30 and single. The crux of the original was Toula defying the expectations of her Greek family and marrying a “xeno”, an American. 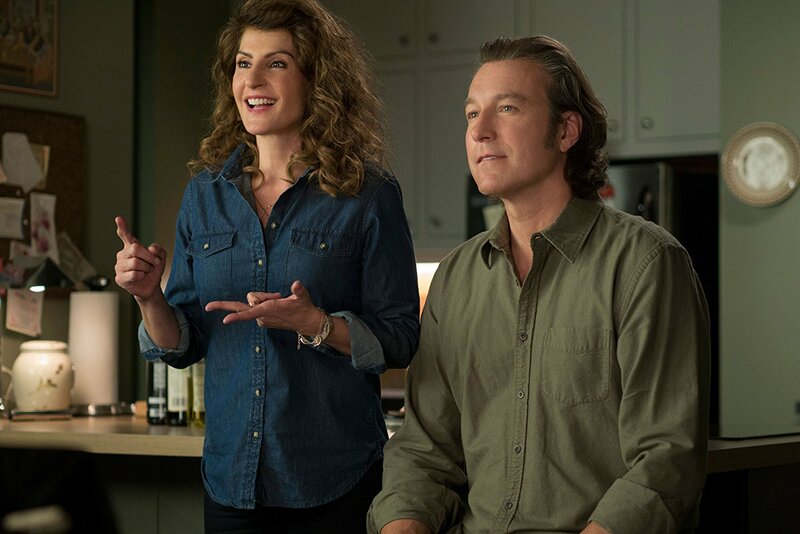 My Big Fat Greek Wedding 2 interestingly sees Vardalos identifying more with the marital difficulties of Gus and Maria than with Paris’ longing for independence. Paris after all is what Toula was in the original. The shift in focus isn’t entirely unexpected or to the movie’s overall detriment. As Toula and Ian grow older they start to resemble Gus and Maria more than they’re likely to admit. A person is the product of his/her upbringing. Daughters become mothers whose daughters rebel against their mothers like their mothers did against theirs. It would have been wonderful to have seen exactly that as the A-plot but instead we get the sometimes comedic and well-intended intervention as the Portakalos clan joins forces to save the marriage of family patriarch and matriarch. Vardalos was always all about feel-good and family and this screenplay of hers is no different. Vardalos’ script is cluttered to say the least. It was bound to be. It was 14 years since the original and every beloved character has to get their moment. We wouldn't have expected anything else. Over the course of an economic and efficient 90 minutes there's always something happening. There’s always something happening, yet nothing ever happens. Ever. The union of Gus and Maria is never really in question and Paris’ own inner conflict, which you’d imagine to be the pulsing heart of this sequel, is resolved much in the fashion of a syndicated television show. Gus and Maria were one of the great charms of the original, yet My Big Fat Greek Wedding 2 would have been better served had it been Paris' story. For some reason, it isn't. It’s rather about Toula and Ian coming to grips with parenthood and the sobering realities of married life, raising a daughter and working a full-time job setting in and shattering the romanticized ideal that the original hinged upon. Much of the humor is still derived from the clan’s cultural identity, their traditions and quirks. To drive the point home Vardalos recycles all of the original’s best gags and throws in a few new ones to boot. 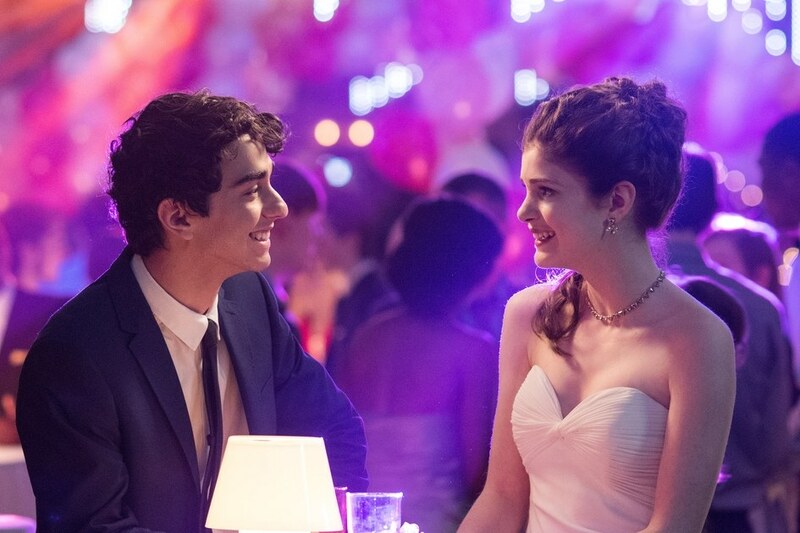 The greatest discovery of My Big Fat Greek Wedding 2 is Elena Kampouris. She single-handedly is able to elevate her little subplot to something bigger and important than it really is or ought to be. No doubt Kampouris could be the next big thing if she chooses her project wisely. My Big Fat Greek Wedding (2002) was terribly afraid to introduce any meaningful conflict and Vardalos’ screenplay for the sequel is pretty much cut from the same cloth. The Paris character would’ve been an excellent opportunity to comment on the generation gap between parents and children, how Paris is who Toula was in the original and how children turn into their parents without always realizing or acknowledging it. 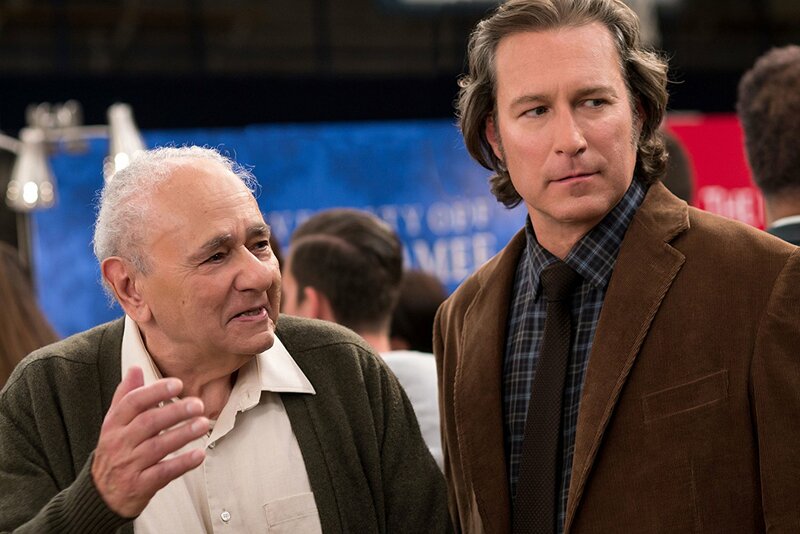 There is no conflict in My Big Fat Greek Wedding 2 because the status-quo is never really in question. The screenplay briefly toys with the idea of a person not falling in line with the romanticized American ideal of hetero-normative relations and having children, but it’s discarded almost as soon as it’s introduced. It at least is decent enough to throw a progressive bone in having a Portakalous finally coming out of the closet in front of the family, but Vardalos fails to capitalize on that important moment and it’s handwaved away mere moments later. Paris and her parents never come to a clash and the brief seperation of Gus and Maria only serves to bring them closer together. All's well that ends well. You wouldn’t expect anything else from something produced by Tom Hanks’ Playtone - the company responsible for the ABBA musical Mamma Mia! (2008) and its own belated sequel Mamma Mia! Here We Go Again (2018) – and Vardalos. If there’s anything to deduce from Vardalos’ oeuvre it’s her paralyzing fear of conflict. The biggest bone that My Big Fat Greek Wedding 2 throws its audience is an appearance by John Stamos. Stamos, of course, is famous for his turn as Greek heartthrob Jesse Katsopolis in Full House (1987-1995) and its reboot Fuller House (2016) – and has been setting female hearts and loins alight for pretty much as long as he’s been acting and producing. His subplot is of no narrative importance and his presence is merely to enhance the star-power and viability of the project. It’s good seeing the entire gang again and all the familiar faces are accounted for. Everybody’s tubbier, a bit more wrinkled but clearly everybody’s having a great time this second time round. 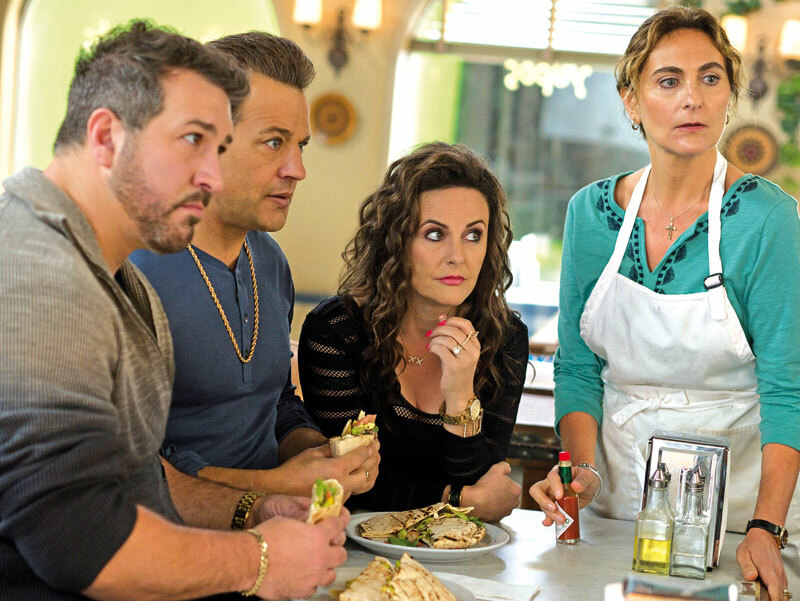 My Big Fat Greek Wedding 2 is formulaic, syrupy and saccharine in all the right ways. It will never go down the books as an important movie – or even a particular memorable one. It never aims to be anything but an enjoyable popcorn flick, ideal to spent an evening or kill 90 minutes. Nia Vardalos rightly deserves credit for making this sequel as enjoyable as it is. Unlike many others she isn’t stuck in Hallmark or Lifetime Movies television hell – and that’s certainly an accomplishment considering how she became famous in the first place. If there’s any reason that My Big Fat Greek Wedding 2 works as well it does is because it pushes the same buttons and plays on the same sentiments as the original. The original has become enshrined as a rom-com classic and the sequel has no pretensions other than being an expansion on the original. If there are going to be more sequels after this it’s high time for Michael Constantine and Lainie Kazan to retire and put the focus on the relation between Paris and her parents Toula and Ian. In fact a third installment, in say five to ten years from now, could focus on Paris getting her own Big Fat Greek Wedding and how she has to deal with her traditional, overbearing parents. It would serve as a good closure to the franchise, having come full circle. There’s certainly no immediate need for a My Big Fat Greek Wedding 3 but knowing full well how Hollywood operates there’s always the spectre of possibility looming at the horizon. It will be interesting to see where Nia Vardalos moves from here. The My Big Fat Greek Wedding franchise and brand is her brainchild and we’re interested to see what project she decides to tackle next. Worst case scenario is that in another ten or so years there’ll indeed be a My Big Fat Greek Wedding 3. Now is as good a time as any to stop with these Greek Weddings.